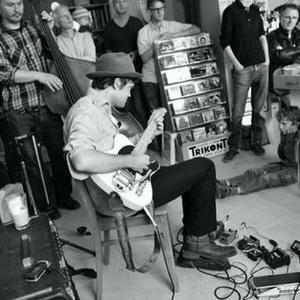 William Tyler is a native of Nashville, Tennessee and a guitarist who has spent the last several years recording and touring with Silver Jews and Lambchop among others. In addition he has contributed to albums by artists as diverse as Charlie Louvin, Candi Staton, and Wooden Wand, as well as taking part in a large ensemble piece by composer Rhys Chatham. He also recently contributed a track to Tompkins Square s acoustic guitar compilation, Imaginational Anthem Volume 4 : New Possibilities. Behold The Spirit reveals an astounding array of talents. In addition to his beautiful playing, Tyler is also an ace arranger, augmenting complex textures and various instrumentation with his lyrical compositions. A stunning, beautiful and varied guitar album for the ages.